This block of Third Avenue is one of those to be redecorated. Albany hopes to dress up several blocks of downtown streets in order to encourage business, but the plans are still in the talking stage and may change when there’s more information about the cost, which could run into the millions. 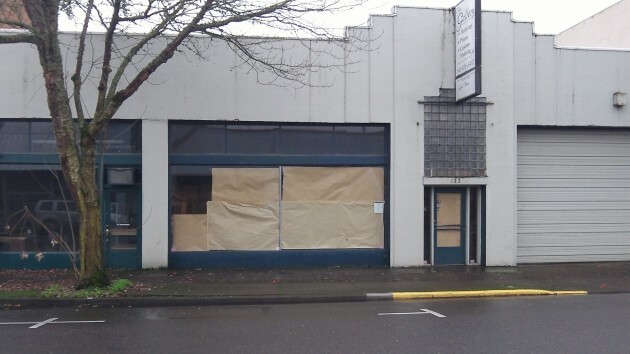 The advisory board of CARA, the city’s downtown urban renewal district, talked about the street project at monthly meetings in October and November and again last week. In October, the board voted for a “package of priority funding” to include work on segments of Second and Third avenues, Broadalbin Street between Second and Third, plus Lyon and Ellsworth streets. In November there was more discussion. In December, last week, the board endorsed a list of details outlined by consultant George Crandall. The outline named the downtown blocks of First, Second and Third avenues and suggested they get new sidewalks, cobbles in the tree wells, LED “double acorn” light fixtures with baskets, LED lighting suspended over the streets, banner poles and street furniture and trees. The board last week also endorsed enhancements on Ellsworth and Lyon: holes for flag poles, partial restoration of sidewalks, LED ornamental highway lighting with banner arms, and possibly curb extensions or bulb-outs at intersections. Also included would be grinding off and replacing the top three inches of pavement on Second, Third and Broadalbin, and possibly on Ellsworth and Lyon if ODOT requires it. On the avenues, all the work would be west of Lyon, on three or four blocks depending on the street. Nothing would be done east of Lyon. 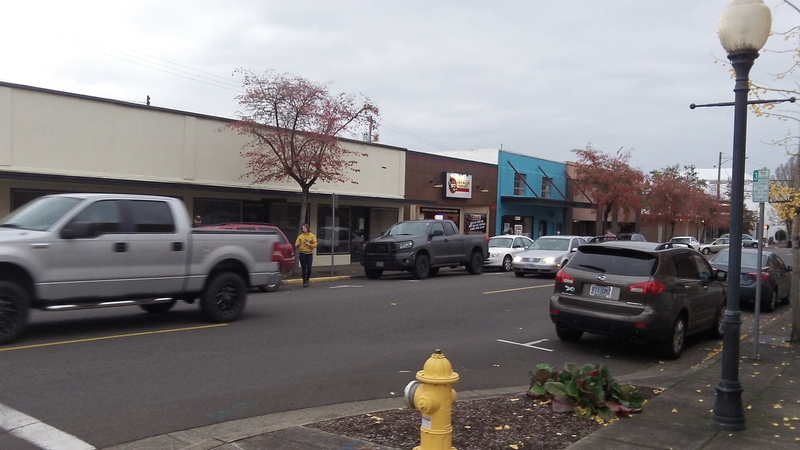 The board has rejected the idea of angled parking on Second, where business owners asked for it, but urban renewal manager Kate Porsche says she’s working to find another parking solution. As for the overall cost, back in October the estimate for projects included in that month’s motion was $6.8 million. But Public Works has not yet done new estimates for the things the CARA board more recently endorsed. Porsche hopes to work up a budget next month. “The board will need to discuss funding for the project,” she told me in an email. For this kind of work, urban renewal districts typically borrow money and repay the money from future tax revenue. This part of First, just east of Lyon, is not included in CARA’s plans. Given these are public improvements on public land and CARA uses tax increment financing to pay the bond debt that generates the cash for this project, we must assume that this project will trigger a $6.8M increase in property tax revenues within the whole CARA district. Does anyone anywhere seriously think this tax revenue windfall will happen? Have any of these folks been down most of the residential streets in downtown Albany? Third street past Albany Christian School is a teeth-rattling experience. I drive to church via 7th street and it is neat looking but patched and rough. Fifth Street, I believe that’s the one, which goes past Ciddici’s is another disaster. All seems pretty good in downtown but we do have to drive on some of those streets to get there. I seldom go downtown to shop. Prices are way too high. Is this going to raise them even higher? I saw Tacos at $1 at the old Gary and Carols, and The Westerner decades prior. When I see restaurant’s menus that use 23 without a dollar sign, I am repelled. I don’t make $23 an hour. I pay $5 for a ready to go Pizza at more than one outlet. They are not downtown. I don’t pay $10. I am priced out. Everything has to look old like real French Windows, yet the streets have modern ‘bulb outs’ and new design pedestrian crossings. I seems like money down the drain to me. Was it the City or some civic entity that built the modern monstrosity at the old Ice Plant location on 3rd by Bryant’s Park? That building has been advertising retail space since it was finished. The big building where the old Buzz Saw was has to. Someone is making poor choices.